for $1,999,000 with 4 bedrooms and 4 full baths, 1 half bath. This 3,289 square foot home was built in 1949 on a lot size of 105.0 ft x 103.0 ft. Listen to the Ocean waves from your beachside tropical paradise. 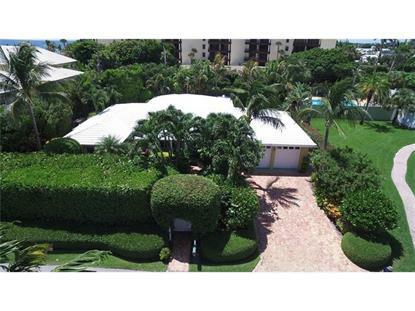 This immaculate and recently remodeled home offers state of the art amenities.Enter the tropical oasis to discover a beautiful marble floored living room, great room and loggia for your entertaining pleasure.The gourmet chef's kitchen opens onto the loggia and pool area. Enjoy the fabulous Summer kitchen which completes the resort style atmosphere for true Florida living.This turnkey home provides luxurious amenities including a complete new roof, whole house generator, impact glass and retractable awnings. Come and see this spectacular Oceanside retreat....only 100 yards from the Atlantic Ocean.